Bright colors, Easter egg hunts, time spent outside with family – nothing says, “spring is here” more than the Easter season. For a kid, waking up on Easter morning to a basket brimming with goodies is an exciting tradition to get the celebration started. This is a step where there is no wrong answer and endless right answers! You can find great deals on baskets at your favorite craft store or you might find some sweet options at a local thrift shop. You can even think outside the basket by choosing an unconventional container, like a planter or terra cotta pot if your child is a little older. Be mindful of size since you want to ensure you can fill the basket or container so it appears welcoming and complete. The Goldilocks approach usually works out – not too big or too small, but just right. Instead of plastic grass fillers, opt for a natural fiber material. There are lots of options including raffia or recycled paper that still comes in bright or pastel colors to match the theme. Whichever you choose, be generous by filling the bottom to create a welcoming bed for the treats and surprises. Part of the fun is picking out all the little presents to fill the basket with. Easter-themed chocolates and candies are classic additions that come readily available. Hollow eggs filled with silver dollars or various sums of money always cause excitement. If you go with a garden theme, sachets of seeds to grow in the pot make the gift interactive. You can round everything out with a main gift that is the shining start of the basket! Our website has a variety of stuffed animals, games, and Jim Shore Figurines that will do the job nicely. Easter, of course, is not about the gifts. The time spent with family is a positive reminder of all the blessings we are fortunate to have. 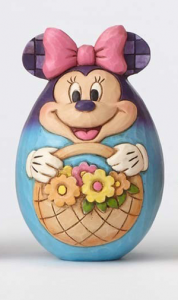 Gather more ideas for your Easter basket creation by visiting CoppinsGifts.com! Each day comes with its own small moments to celebrate; however, when a birthday rolls around that is grounds to celebrate with gifts. 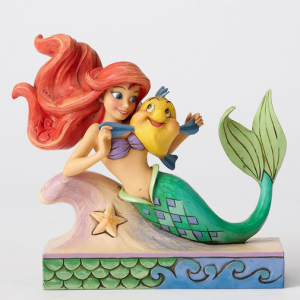 Commemorate the birth of someone special with a gorgeous figurine that fits their personality. Present a whimsical gift with a Disney theme! This special line from Jim Shore showcases beloved heroes and characters from Disney classics. Swim under the sea with Ariel, dance in the forest with Aurora, paint with all the colors of the wind with Pocahontas – explore all the hand-painted designs! These beautiful figurines will make someone feel extra magical on their special day. A more traditional approach to collectible birthday figurines comes in the form of this series. Each year from birth to the age of 16 is represented by a sweet statue. As your daughter grows, so will the collection that represents important milestones in her life. 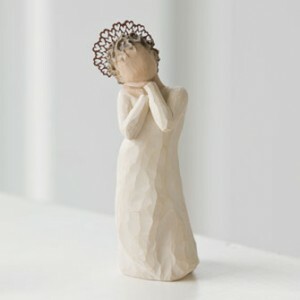 The signature look of a Willow Tree figurine is unmistakable. When your friend or loved one opens the box to reveal a new addition to their collection, they won’t be able to stop themselves from smiling. While Willow Tree makes figures for a variety of occasions, we think that the floral and friendship designs fit delightfully with a birthday theme. This represents just a few of the collectible birthday figurines available. Discover the perfect gift at CoppinsGifts.com! We should all take the time to express love and appreciation for the people we care about any day of the year. Cooking a nice dinner, showing up with flowers, and even a simple, “I love you” make a huge difference in cultivating and maintaining a loving and supportive partnership. Keeping all of that in mind, having the excuse of a holiday to treat your special someone to a nice gift is fun and enjoyable. Yes, Christmas is over, but Valentine’s Day is right around the corner to give you and your partner something special to look forward to. We are proud to host a variety of affordable and heartfelt gifts and novelties from brands like DaVinci Beads, Willow Tree, and Hallmark online for your convenience. The Birthstones line from DaVinci Beads allows you to pick a heart or other gorgeous design featuring the birthstone of your beloved. If she already has a DaVinci bracelet then you can choose something to add to it or start from scratch with a bangle and a few unique beads that match her personality. Valentine’s Day can focus on the romance, but it can also be light and fun! Present something more on the silly side to your man with a Canteen Tie. Inside of the tie is a refillable 8 oz. pouch ready and waiting to house the liquid of your choice. This gift is unique, practical, and will definitely make your guy grin when he opens it. These are just a couple examples of the delightful gift items available. Find something perfect at CoppinsGifts.com! Chocolates, roses, a fancy dinner out – all of these are typical ways of celebrating February 14th. 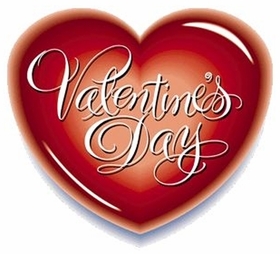 The most significant aspect of Valentine’s Day; however, is about sharing love with people you care about. That love might be romantic, but it might also be platonic, or the love you have for a sibling, child, or close family member. For this reason, and more, a Willow Tree Angel figurine translates into a special and heartwarming gift for the person receiving it. When you want to say that you are “so happy to love and be loved,” the Willow Tree Angel Love sends that message exquisitely. This adorable figurine features an angel with a halo of hearts around her head. 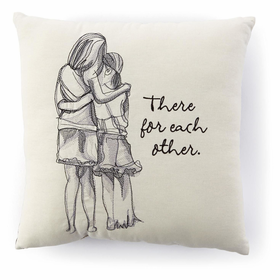 A daughter might present this to her mother on Valentine’s Day as a reminder of their special bond. Wherever this rests in a home or office, a glance towards this angel will spark a feeling of reassurance and delight. Even if you are not in a romantic relationship, it doesn’t mean you don’t have love in your life. Love, pure and simple is showcased in the form of the Willow Tree Loving Angel. This winged figure holds a single red rose and sends a sweet message to the world. Send this to one of your close friends who might need the reminder that they are special, important, and loved. Explore more of our sweet and inspiring Willow Tree Angel designs at CoppinsGifts.com. 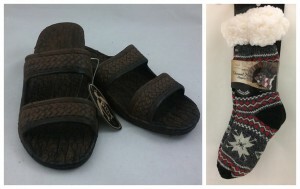 Right now, summer probably feels far away, so giving someone a pair of sandals as a gift might seem counterintuitive. Pali Hawaiian shoes are not just any standard run-of-the-mill sandals and they actually make a wonderful gift idea this season. Why do you ask? For anyone planning a winter vacation to a warmer climate, this accessory is a must-have. The sandals are durable, flexible, and easy to pack. They pair well with a variety of outfits – from linen pants to maxi dresses – plus they can be worn by men, women, and children. There is a chance that the receiver of the Pali Hawaiian shoes will place them in the back of their closet and forget about them until April. Do not let that hinder your decision. The beauty is that when the warmer months roll around they will rediscover their brand-new pair of sandals and feel as though they are receiving the gift all over again. Win-win. If you prefer a gift more appropriate for the current weather, Knit Thermal Slipper Socks are the perfect slip-on for the season. Don the snowflake design on Christmas morning to get into that festive feeling! Everyone in the family can sport a pair in a different color and have cozy feet all day long. Another option that ensures you can’t go wrong is to gift these two amazing slip-ons together. This makes it easy to step outside for a quick family photo without taking off your cozy thermal slipper socks! We know that wearing socks with sandals is a fashion faux pas, but when it is just family around then no one will judge – at least not too harshly. With the holiday season upon us, coming up with a unique gift idea for a daughter, niece, or someone who loves whimsy can be difficult. Enter the Charm it Bracelet! The only potential downside is that there are so many possibilities, knowing where to begin can be tricky. These simple steps will have you on your way to designing a bracelet that will result in a giant genuine smile on Christmas morning. Think of the bracelet as a blank canvas to kick off the design of a gorgeous work of art. In this case, the canvas does not have to be completely blank because there are multiple bracelets to choose from. You can keep it simple with the Chain Bracelet in silver or pink, go wild with the Rainbow Peace Bracelet, or kick off a cute theme with the Cupcake Bracelet. The good news is that the variety of options ensures you will find something perfect to fit the personality of the child receiving the gift. The fun of the Charm It Bracelet comes with adding new charms over time to commemorate special events like birthdays or good grades. That said, you can’t go wrong presenting the bracelet with one or three charms already in place. The Cupcake Bracelet might serve as an excellent choice for an aspiring baker or someone with a sweet tooth. Continuing with that theme is easy! The Milk & Cookies, Cinnamon Roll, and Donut charms are just a few cute options that represent something scrumptious to dangle from the Cupcake Bracelet. 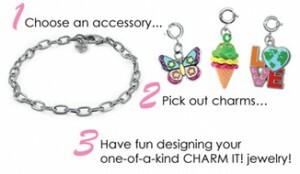 Don’t stress yourself out trying to choose from all the incredibly adorable and delightful Charm It Bracelet options. There are endless occasions and plenty of room to fit in all the charms you can think of adding. In the event that you run out of room, then that is the perfect excuse to start a brand new design! 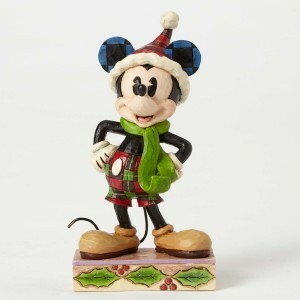 - Ornaments: Every year, Willow Tree introduces a collectible ornament to add to your family’s ornament collection. These simple angels add a beautiful addition to any tree or ornament stand. These also make a great gift for neighbors and friends to start their own collection. You can also build your collection year to year. - Nativity Scenes: Where do you display your nativity scene? Whether you put it under the tree, on the mantel, or front and center in your living room, the nativity scenes from Willow Tree look beautiful in every setting. Plus, you can add more to your scene at any time with more angels, shepherds, and animals. 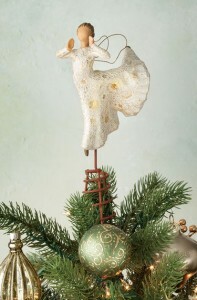 - Tree Toppers: The angel on the top of the tree is easily the most important decoration. Make sure your tree has a simple, yet elegant angel for the top of the tree. The white and gold accents work with any color scheme and style of your tree. Which of the Willow Tree figurines will you be shopping for this season? Find these and more holiday collectibles and gifts today at CoppinsGifts.com. With a wide selection and gifts and home decor, you can find something for everyone on your holiday shopping list.